It is important to understand the underlying mechanics and differences between enzyme inhibition subtypes, to be able to set up proper incubation methods and to interpret the results correctly. Therefore, this book gives an overview on inhibition kinetics alongside a comparison between the enzyme sources most often used in CYP inhibition studies. 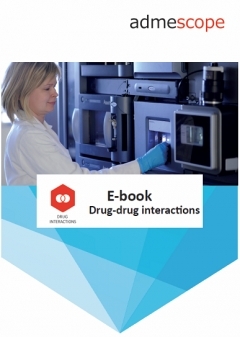 Enzyme induction is addressed in the book from CYP point-of-view as CYP induction is the most commonly studied form of induction in drug metabolism and is required by regulatory authorities. The book also covers in vitro to in vivo extrapolation of CYP inhibition and induction, and familiarises readers to different types of models used for DDI prediction.